Shows don’t come much sweeter than this. 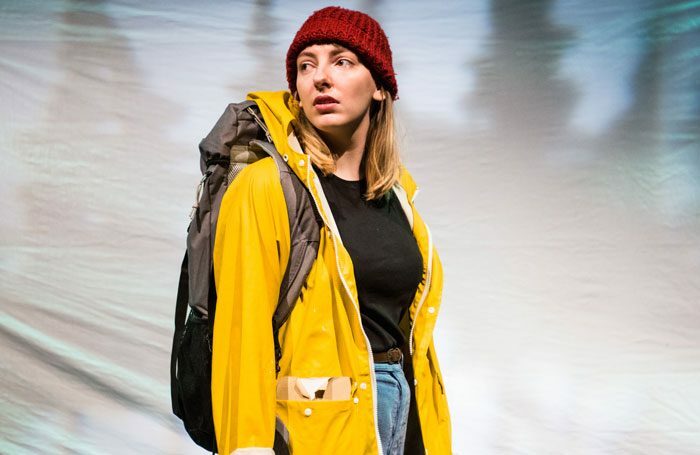 The Backpack Ensemble – an emerging company hailing from the University of Lincoln – heaves its debut show The Search for a Black-Browed Albatross up to Edinburgh, having already made acclaimed visits to the National Student Drama Festival and Incoming Festival this year. Samantha Miles’ play follows Charlie on a trip north into the middle of nowhere in search of a rare bird – the only bird that her enthusiastic twitcher dad didn’t tick off his “life list” before he died. She loses herself in a forest, almost drowns in a river, meets a wise woodsman and ultimately faces up to her own grief. It’s a tale as telegraphed as it is touching. The real joy here, though, is in the exuberant, meta-theatrical invention of Simon Panayi’s production. The seven cast members pass the narration between them as they use bedsheets, projectors and silhouettes to evoke a world filled with wonder and wistful memory. 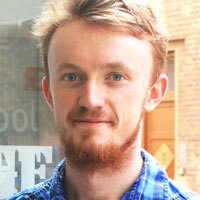 Every so often, they break into nicely harmonised song to the backing of Jordan Shiel’s plaintive piano-playing. It’s a gentle, tear-jerker of a show about life and loss, holding on and letting go. A really promising show, from a really promising company. Look out for it.